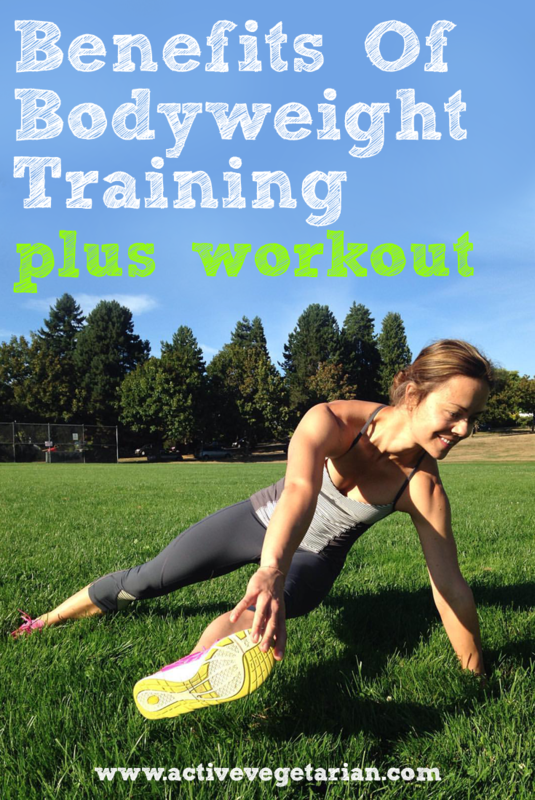 » Workouts » Benefits Of Bodyweight Training + Workout! streNG(k)TH – the quality or state of being strong, in particular. Heart-Pumping and Strengthening: One of the most important benefits of bodyweight exercise is its ability to improve your cardiovascular endurance and muscle strength all at once. Frequently changing your position keeps the heart rate elevated, while body weight and gravity work together to strengthen muscles. One small study showed just one bout of 10 sets of 10 squat-jumps produced beneficial change in muscle fibers.Want the real recipe that will have you looking your fittest, and strongest? Simple – do your heavy lifts but don’t forget to incorporate some bodyweight training in the mix as well. Bodyweight exercises and heavy lifting compliment one another so well – you get the load to build some strong lean muscle as well as using bodyweight movements to target the smaller stabilizing muscles. Not to mention you can gain tremendous functional fitness in terms of strength, power, balance, and endurance from progressive bodyweight training. Convenient: Adding weight to a workout has benefits. But using your own bodyweight trumps dumbbells and barbells for convenience. With your own two hands and feet (and everything in between), you can accomplish a sweaty and effective workout anywhere–your living room, a hotel room, or outdoors in a minimal space. Some bodyweight workouts can be intensified with using props like a chair, outdoor bench… but it’s not a necessity. Efficient: With no dumbbells, kettlebells, or barbells in the way, transitioning from one move to the next takes little time. With less rest, your heart rate maintains its elevated level, an important factor for calorie burn. Customizable: Exercise machines are limited in range of use by their settings, but bodyweight exercises have a multitude of modifications for any fitness level. 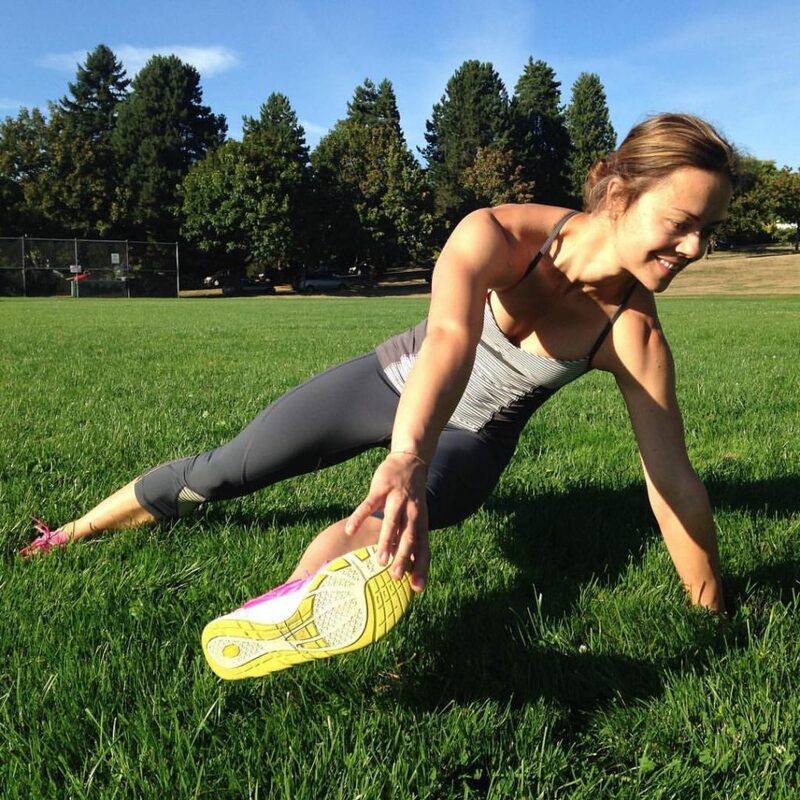 Take the push-up: varieties range from knees-on-the ground all the way to clap and handstand push-ups. So it is suitable and challenging enough for all levels. Multifaceted: There’s a reason the squat and push-up are recommended exercise: Both are compound movements, meaning they engage multiple joints and work more than one muscle group at a time. With that said Zuz and I have put together a quick challenging full body workout you can do anywhere – no equipment needed. Make sure you push yourself – and at the same time have fun with it!